For anyone who is familiar with Judi Dench's filmography, it should come as little surprise that the actress had her early career rooted in Shakespeare. With a stage debut in a 1957 production of Hamlet, Dench made a quick rise through the British theater before joining the Royal Shakespeare Company in 1961. Three years later, Dench appeared in her first movie, The Third Secret. 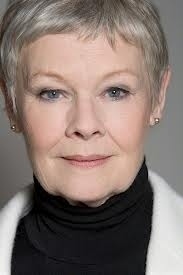 Dench has continued to appear in Shakespearean adaptations, including 1989's Henry V and 1996's Hamlet. Her recent turn as Queen Elizabeth in 1998's Shakespeare in Love earned her an Oscar for Best Supporting Actress.